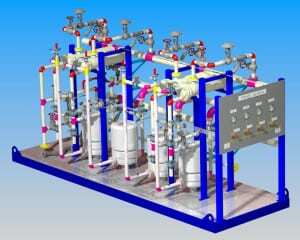 Garrett Industrial Systems, offer a number of valuable design and layout resources for tanks, fluid delivery systems, structural systems, and through our skid-mounted modular systems manufacturer, IPEC, we provide project management, engineering, design, fabrication, installation services, and pre-packaged modular systems through employees dedicated to total customer satisfaction and value. 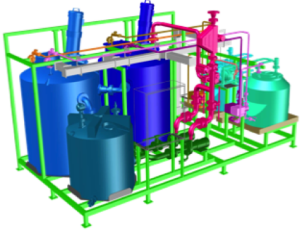 Our industry expertise, knowledge of process challenges, and stringent product quality standards produce consistent and cost effective systems that exceed customer requirements. 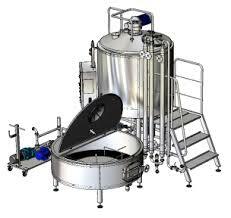 All of our systems are custom designed and engineered to meet your individual process requirements. 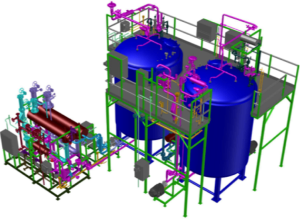 IPEC’s staff of in-house engineering experts will partner with you through all phases of the analysis, design, fabrication, and implementation of your system. This commitment to you continues after installation with available training services for your operations and maintenance staff. Our fabrication and testing procedures are peerless. Complete documentation for all services is standard, and our experience in meeting cGMP and regulatory standards aid validation and provide an added level of confidence for our customers. IPEC’s core services include, Design, Engineering, Project Management, Assembly, Fabrication, Automation, Testing/Inspection, and Field Services.